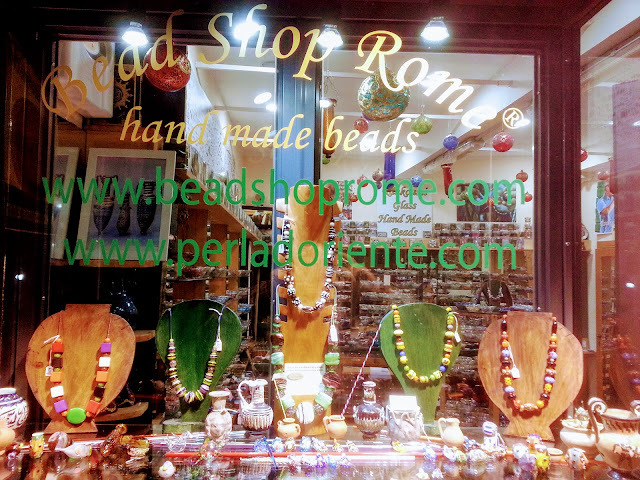 Beads shop Italy offers unique glass creation by artistic intuitions of Rankoussi & various choice of blown glass, wood, bone and resin beads. All our products are hand crafts. We make different kinds of Bijoux, earrings, bracelets, necklaces . We have everything you need to make bijoux: multicoloured cotton and leather threads, wires, finding, metal beads. We have also a sector for blown glass, vases, appliques, decorated Christmas balls and cups.You can send us an Email or ordering directly from our websites.